Heat related stress can cause your chickens to have trouble breathing and cause your hens to stop laying. If your chickens are panting with their beaks open and bowing their wings out on hot days, this is a clear indication that your chickens are undergoing heat stress which can make them sick and even kill them. Make sure their feed and water is not sitting in the hot sun. Hen houses and chicken coops should have plenty of shade so the birds can find relief from the hot summer sun. Hen houses should be well ventilated ones which are not ventilated properly can cause temperatures to quickly rise higher than 180 degrees which can stress and kill your chickens as well as cause respiratory infections. Windows should have 1/4 " heavy screen to keep predators out and there should be windows on all sides of your hen house to catch the breeze from any direction. You should keep a thermometer in your hen house hung where they cannot reach it or covered with screen to keep them from pecking at it. Fans can provide much relief from the heat as well as circulating the air so there is less dust floating around inside the hen house when used in combination with exhaust fans. Do not point fans at the floor. Rather point them toward the nest boxes and perches where they rest at night. An exhaust fan is also important to blow out fumes from their feces. Bedding should be cleaned regularly, at least once a week. 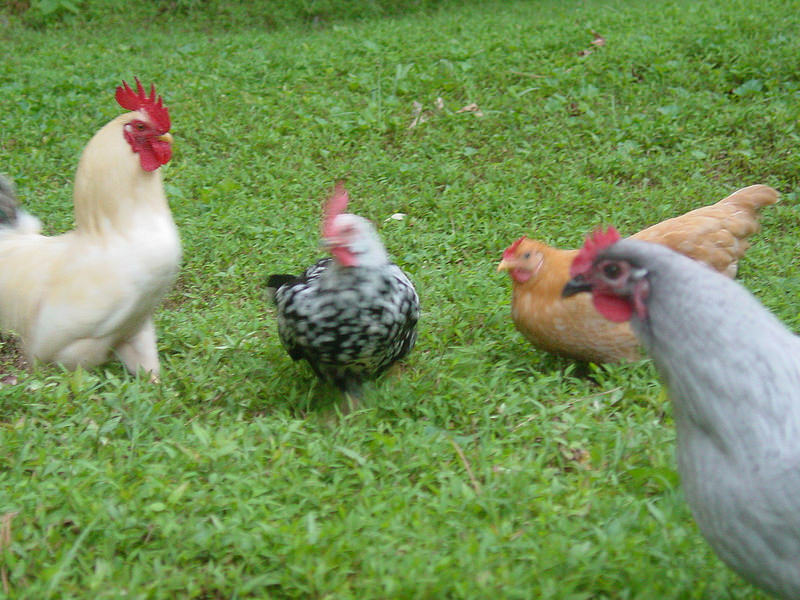 See great ways to keep your chickens cool this summer. Insulating your chicken coop can keep your chickens cooler in the summer and warmer during the winter.